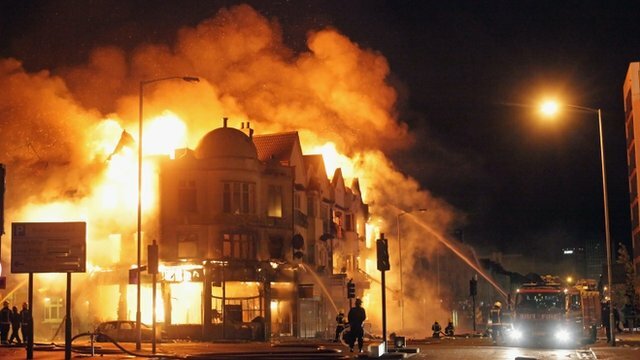 Owners return to destroyed shop Jump to media player One of the many shocking images from Monday night's riots was the large blaze which devastated a furniture store in Croydon, South London. 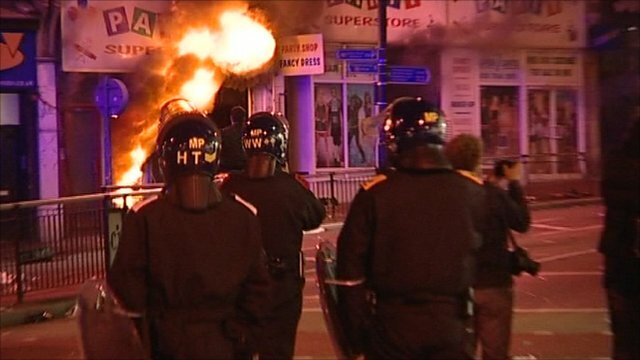 Clean up begins after Ealing riot Jump to media player Parliament is being recalled in response to rioting in English cities that started in London on Saturday night and spread outside the capital on Monday. 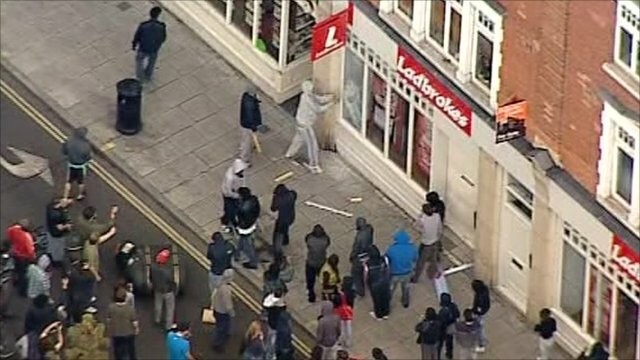 Riot police have again been deployed to the streets of London as violence broke out for a third day running. 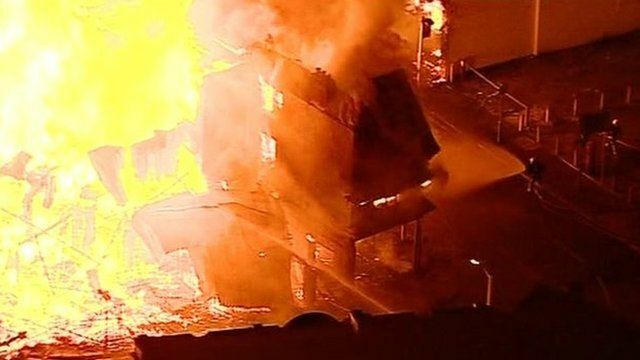 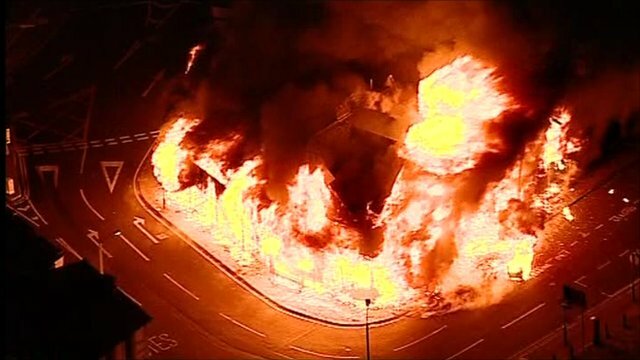 Fires and violence have broken out in Hackney, Lewisham, Peckham, Croydon and Clapham Junction. 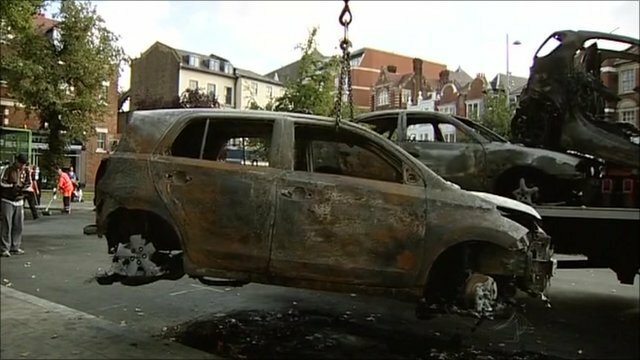 Trevor Reeves, owner of a furniture store in Croydon which was set ablaze said he could not understand the "mindless" acts of arson.